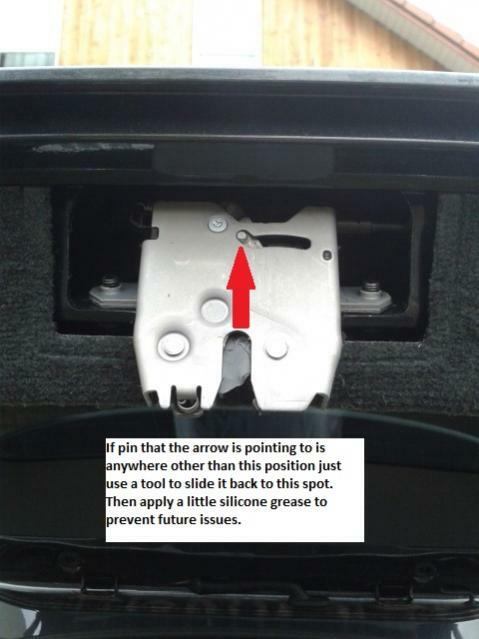 Hello, wanted to share an annoyance that occurred a couple days ago and the very simple fix that may save someone else a trip to the dealership. I pushed the button for the tailgate to close automatically like a hundred times before but it wouldn't close all the way. Instead it would thud against the hook and come back open about a foot. I tried numerous times both manually and automatic but same issue. Not wanting to tear into a fairly new vehicle I decided to bring it to the dealership in case a part needed to be ordered and they fixed it in minutes. The mechanic showed me that if you remove the cover that goes over the door latch, there is a cable that can get stuck in the wrong position. He said if it happens again they will order a new mechanism and it will be covered under warranty. I attached a couple pics to make it very self explanatory. Let me know if anyone has questions and hopefully this helps. Thanks for the heads-up and pics! 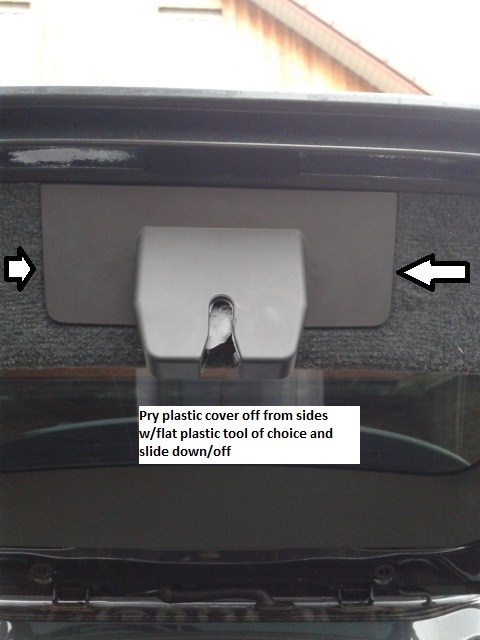 Also own a 2014 XC60 but haven';t experienced this issue! Thanks for saving my hols!! Had my XC60 delivered today. Boot issue occurred this evening and in a panic as on holiday very soon. Your tipped solved the problem. Thank you very much chippa8 for posting this issue. I had the same problem with my 2012 V70. It was fixed in a few minutes!! My liftgate must have a mind of it's own. It used to do this (the original issue above), but it stopped. Now, when I open my liftgate (using either my remote key fob or by pushing the button on the exterior of the liftgate), the LG will go all the way up, but then come down probably by a foot. I've bumped my head a couple of times. When this happens, I try to liftgate up manually, but I feel a massive amount of force that goes against me and the trunk still won't lift all of the way. I'm scared that if I exude too much force that I'll break the trunk somehow. Has anyone else experienced this? Well it just happened to me and what an easy DIY fix! Thanks for the detailed instructions and pics. I owe you more than a beer! Hi and greetings from Bulgaria. I have the same problem on my 2009 XC70, but unfortunately the mechanism looks different. Does anybody has experienced the same problem in an"older" Volvo? Thanks for this great info and fix. I followed your instructions and now it works perfectly.I can just keep the $700 that the dealership was going to charge me to replace the two struts. Thank you! it would not latch or close properly. I looked at all the fuses read my ownes manual from cover to cover, ( discovered some new tidbits about our volvo) hit all the lock unlock options, waited 10 min, drove the car arround the block hoping that it would engage the lock, my next option was to disconnect and reconnect the battery. I found your post before taking that next battery disconect step. Hey, another round of beer for you here. I just experienced the same problem with my 2014 XC60 and fixed it based on your info and photos. The spring inside the latch mechanism is not very strong and the combination of plastic parts makes for poor lubrication, so it tends to stick. The factory grease is clumping, so I cleaned it off and used WD40 and bicycle grease. Thanks a lot. I had the same problem with my XC70.Fixed it in 30 seconds. Thank you.